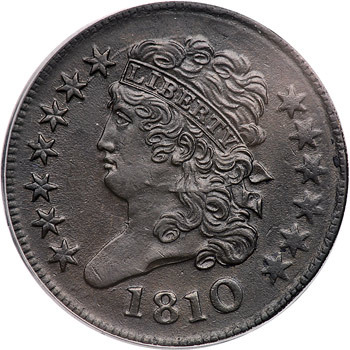 Just a single die marriage is known for the date 1810. 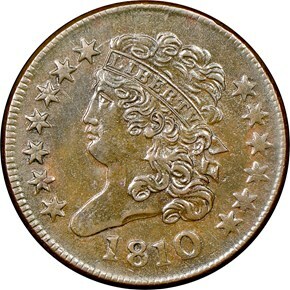 This makes the reported mintage of 215,000 pieces for the year too high for all such coins to have been dated 1810. 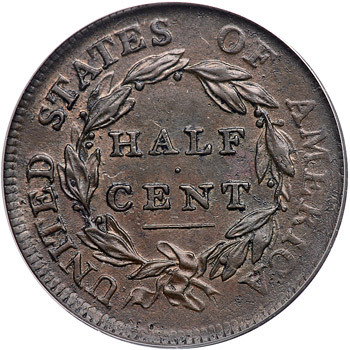 Walter Breen suggested that most of the half cents struck this year were from 1809-dated dies, and there is likely some truth to that. 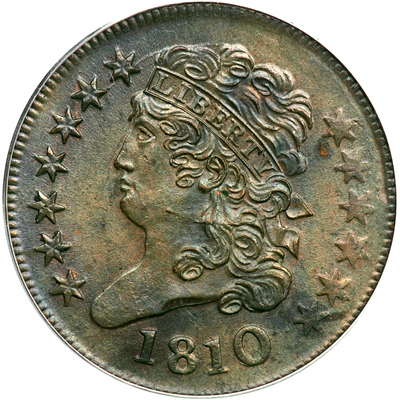 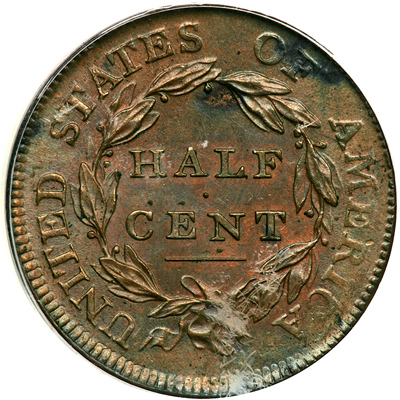 Others have speculated that some at least some of the 1810-dated half cents were coined in 1811, further muddying the waters. 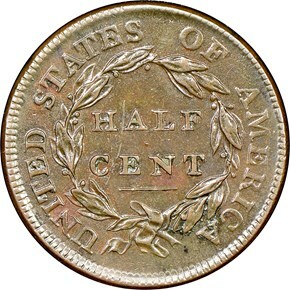 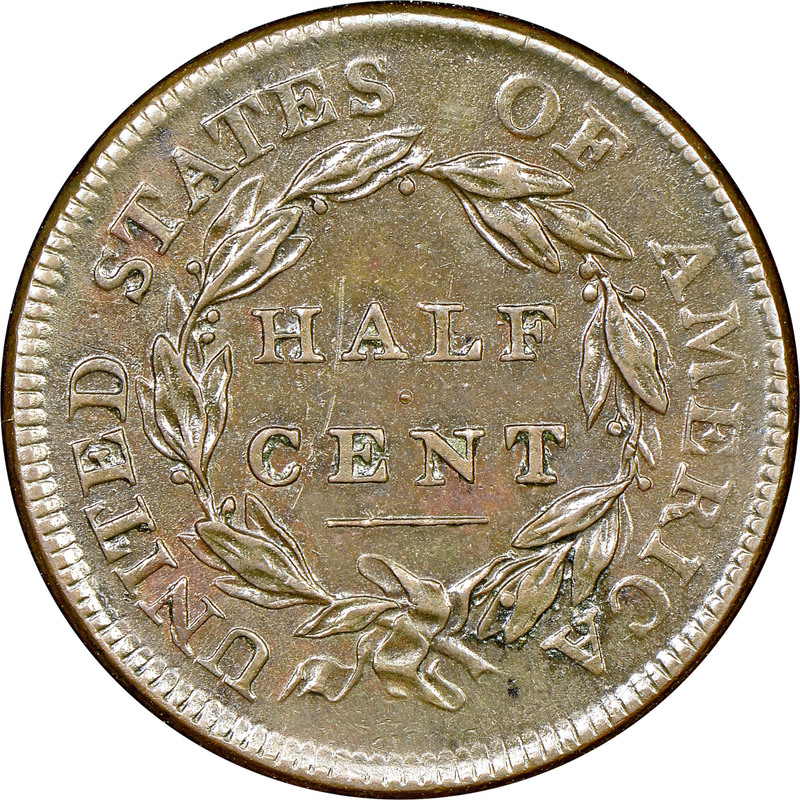 1810 half cents are slightly scarce, though not truly rare. 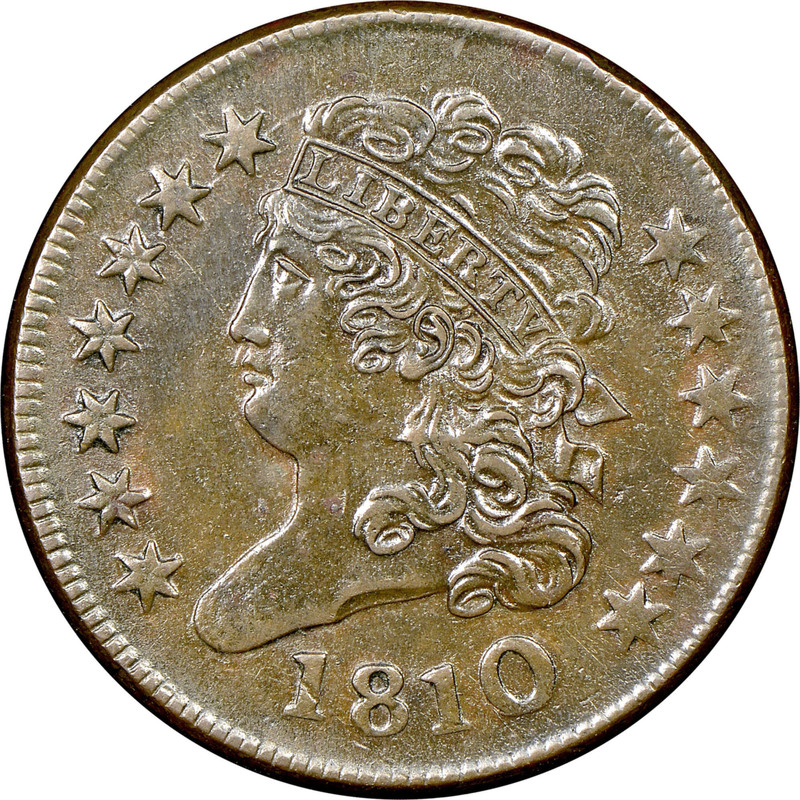 This date carries a premium starting with the higher circulated grades.